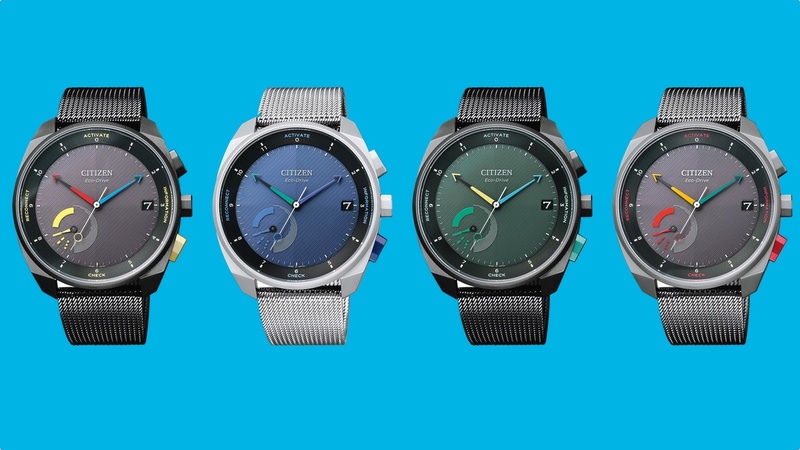 Back in October, Citizen and Fossil formed a new partnership that would let Citizen use Fossil's tech to make hybrid smartwatches. The fruit of that labor is the Citizen Eco-Drive Riiiver (yes, with three i's). The Riiiver is a hybrid that'll do all the hybrid things, like track your steps and activity, but it's also got some added powers. Citizen is calling them "iiideas" (yes, also with three i's). They basically sound like IFTTT-like applets. You'll be able to use the companion app to link together services and devices, including smart home gadgets, to do things. This includes pressing a button and having the watch hands swivel to point you in the direction of a cafe. Or perhaps turning on the lights when you get home and setting their color to match the mood of the weather outside. It also extends to fitness. So, for instance, if you burn over 200 calories you can arrange it so that you can switch your playlist. You can both create your own iiidea or download them from the Riiiver store. They'll work with any Riiiver-compatible device. Riiiver is the larger brand that Citizen is putting all its smartwatches under, and it seems like there'll be an entire series of devices that'll be able to take advantage of all those iiideas you can create and share. To start with, Citizen is launching four hybrids. They all have 43mm faces with stainless steel cases, sapphire crystal glass and three complications. You'll also be able to use three buttons to interact with it, though it's not yet clear how it'll use all those buttons and complications (though the top button does launch iiideas). There's also water resistance for swimming, snorkeling and diving. All four have stainless steel mesh straps, and the only differences are color. There's a black with black face and yellow accents, silver with a blue dial and purple accents, black with a green dial and yellow accents, and a gray with black dial and red accents. All four cost $420 and will arrive in Fall 2019.